LG has been making some noise out there in the smartphone market the past few days. later this year, the Korean manufacturer has been the topic of much discussion. As great as it was to hear the Galaxy Note was getting a competitor worldwide, the latest rumors could mean even bigger things for LG. 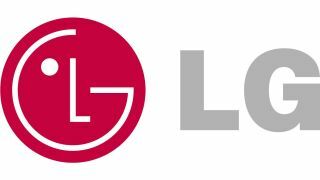 According to reports, LG will soon unveil a new 4G LTE smartphone called the Optimus G, which, like the Vu, will be a direct competitor with a Samsung device - the Galaxy S3. The LG Optimus G is believed to come with the new Snapdragon S4 Pro quad-core processor, which would make it twice as powerful as the Galaxy S3 right off the bat. What's more, if you add in 4G LTE support and Voice-over LTE (VoLTE), you have a smartphone that instantly sets itself apart from everything else on the market. With Android 4.0: Ice Cream Sandwich running on 2GB of RAM, the Optimus G will make good use of LG's most recent Optimus UI update (version 3.0). The rest of the rumored specs say the phone will include a 13 megapixel camera, and a 4.7-inch screen which uses LG's True HD IPS technology. There's a slight chance this could be the same phone as the LG Eclipse that was leaked earlier this year, as little has been heard or seen about that device since the spring. This year's IFA 2012 conference is just around the corner, so perhaps we'll learn more about LG's plans at the show.